One of my many hobbies is stamp collecting. I've been playing around with it on and off for many years. 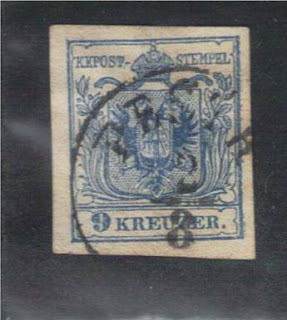 My most recent delving into the hobby is focused on Austrian stamps. 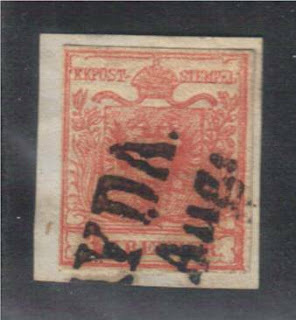 Stamp collecting, regardless of the country or subject, has many nuances that must be learned. For example: the first five Austrian issues have quite a few varieties. They were issued on two types of paper, handmade and machine made and there are several varieties to the actual designs and colors. I'm finding that the Scott's catalog and the ANK catalog are not much help with determining which is which. Scott # 1. I have yet to discover how to determine the paper used for the issue. 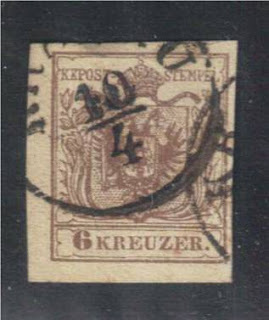 The Type I variety is supposed to have one heavy line around the coat of arms center. The Type III has two thinner lines around the center. I'm not exactly sure which lines they are talking about. Scott # 3: I have 2 of these and I'm not sure if they are the same issue or one of each issue. The first one, when compared to the second one, appears to be handmade paper. This is a guess on my part. 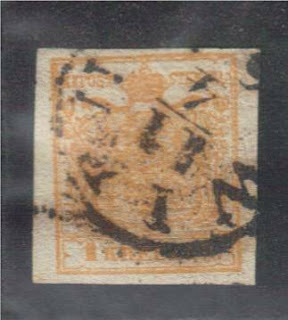 It could be 'laid paper' which is another variety for this stamp. 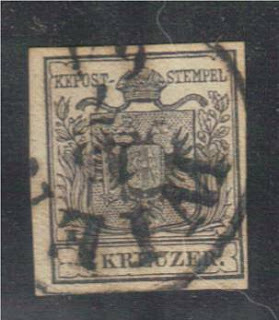 Scott # 4: This one, like numbers 2 and 3, could also be on ribbed paper. I have yet to find out how to tell if the paper is ribbed or not. 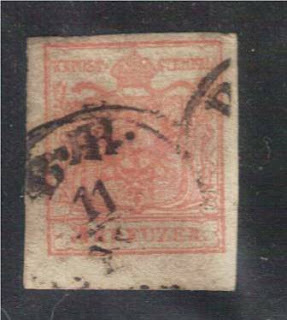 The ribbed paper variety is for the 1850 issue. 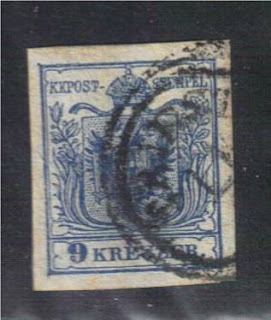 Scott # 5: I believe that these are both either type II or type III due to the '9' being much higher than the word 'Kreuzer'. Once again, the thick line or 2 thinner lines around the coat of arms will determine the final outcome. Once that is determined, the paper used needs to be identified. I'm posting this blog in the hope that someone sees it and helps rid me of some ignorance. I would be greatly appreciative if someone does that!